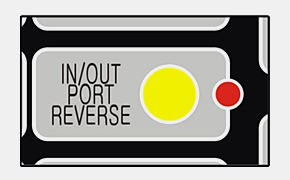 If you misconnect the hoses the IN/OUT puts within our machine then you can quickly reverse the flow of the fluid to the right way by pressing this button. 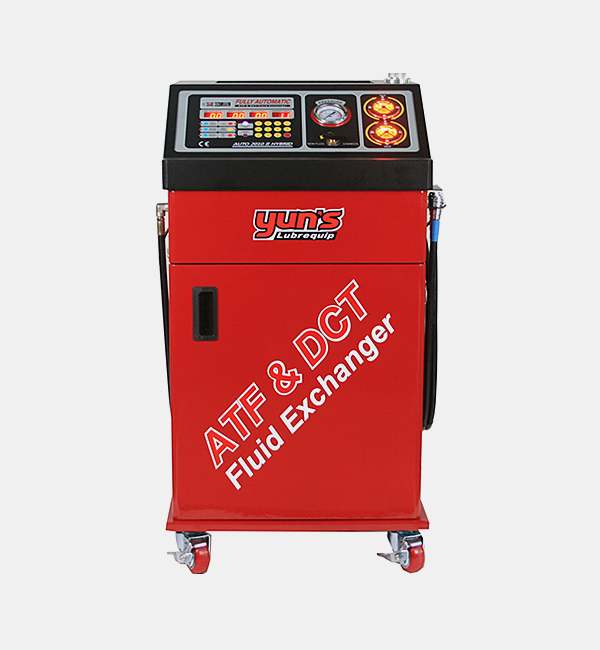 This machine can be used to exchange ATF,DCT and CVT. 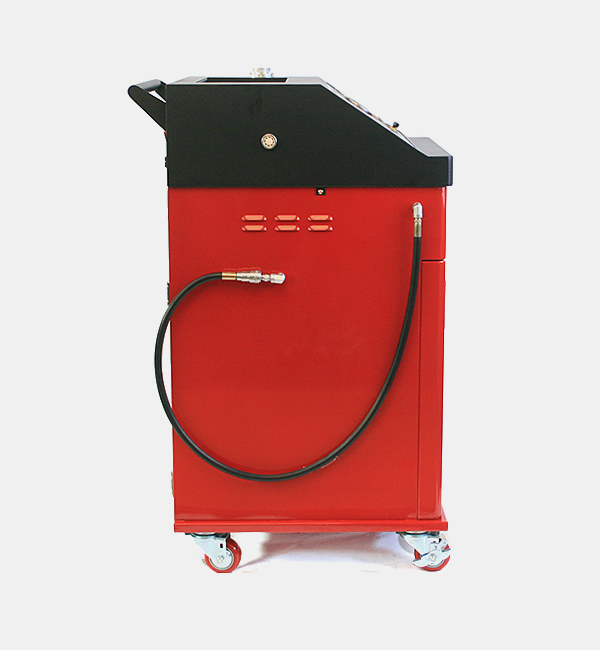 This machine can measure the oil temperature without having to place a scanner inside the equipment. 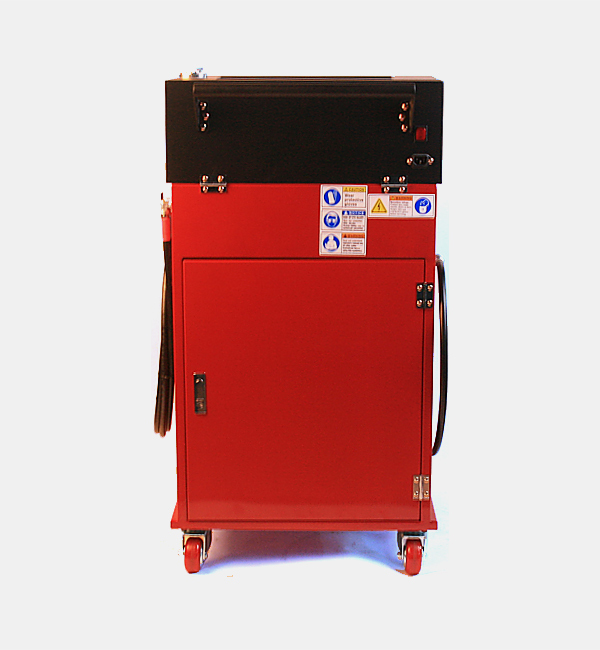 Our machine will automatically calculate the exact volume of old and new fluid to be exchanged. 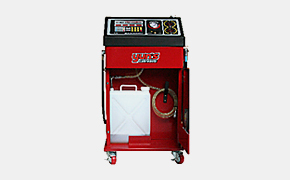 Even without a dipstick, our machine makes filling flush chemicals into cars easy. 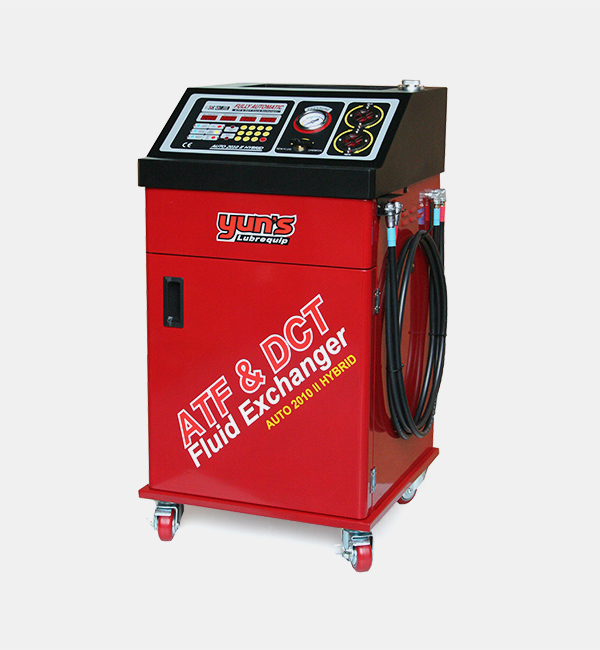 The old fluid can be drained directly to the outside drainer during the exchange. 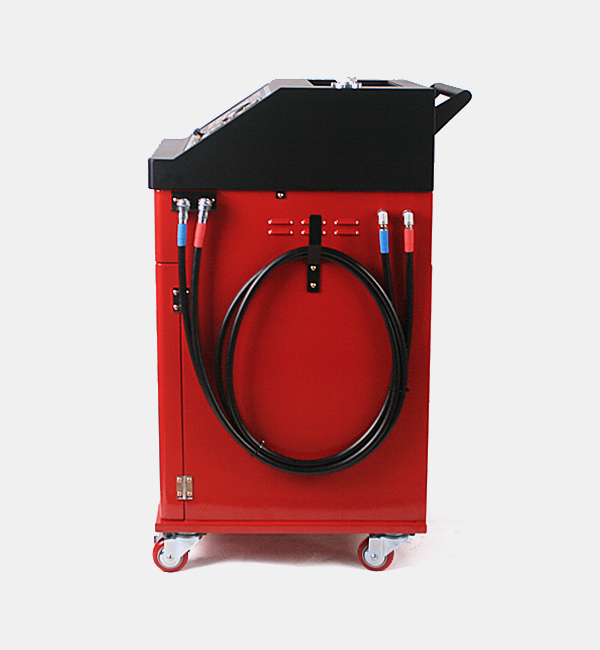 Our machine is equipped with a backlight behind the sight glass so that you can easily see the color of the fluids during the process. When putting in a new pail, you need to set the desired amount of new fluid. Then you can check the current fluid amount in the new oil tank. The light will turn on if you set the amount of new oil to be added to a value greater than what is currently in the machine. The amount of fluid to be exchanged will be shown in the display labeled 'SET AMOUNT'. The amount of new fluid will be shown within the display labeled 'NEW FLUID' during the exchange process. 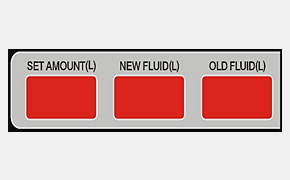 The amount of old fluid will be shown within the display labeled 'OLD FLUID' during the exchange process. 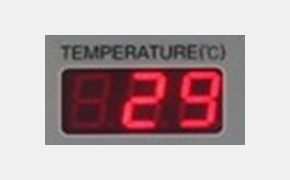 The oil temperature will be shown within the display labeled 'TEMPERATURE' during the exchange process. 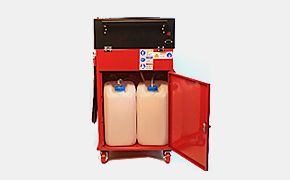 Press to fill the vehicle with DCT fluid. Press to discharge used fluid from vehicle. Press once again to stop. 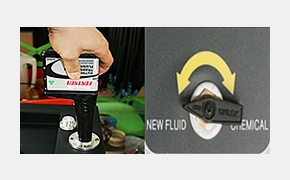 Press to inject new fluid into vehicle. Press once again to stop. Press to reset 'SET AMOUNT', 'NEW FLUID' AND 'OLD FLUID' settings to zero. 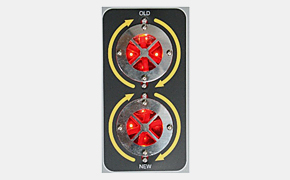 Press to start, pause and continue the oil exchange process. Led lamp on after power on during circulation. Led lamp on after pushing start button during oil exchange. Exchanging quantity setting button. → Setting can be made by 0.1L Press the quantity to set and press "Enter" to complete setting. Gauge for the transmission pressure. 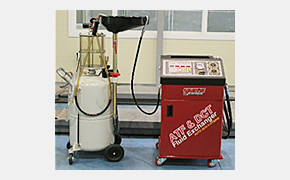 Turn valve to select whether to inject chemicals or add new ATF fluid.